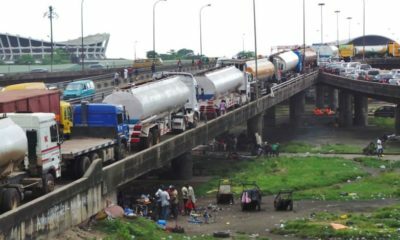 Yesterday, news went round social media that the Nigerian Ports Authority (NPA) has reportedly enforced a ban on its staff from wearing “inappropriate dressings such tight jeans trousers, cut-off trousers, mini-skirts/dresses, tummy and navel shirt transparent/exposing outfits, spaghetti strapped dresses, mismatched clothes, rubber slippers, tattered shoes and rough hairstyles, (to mention but a few)”. It has been observed that despite the issuance of a couple of circulars vide HQ/GMHR/CON/G.3/128 of 25th August, 2008 and HQ/CR/AD/G.1/3039 of 19th December, 2014 on corporate Dress Code, some employees still indulge in improper dressing to the office. For the avoidance of doubt, it is hereby reiterated that inappropriate dressings such tight jeans trousers, cut-off trousers, mini-skirts/dresses, tummy and navel shirt transparent/exposing outfits, spaghetti strapped dresses, mismatched clothes, rubber slippers, tattered shoes and rough hairstyles, (to mention but a few) that are unnecessary distractions would no longer be condoned and will henceforth attract appropriate sanctions. In view of the foregoing and to further maintain a positive corporate image of a reputable organisation, all divisional, departmental and sectional heads, especially heads of personnel are once again enjoined to ensure monitoring of compliance of employees dressings with emphasis on decent, moderate and smart national and formal English wears. 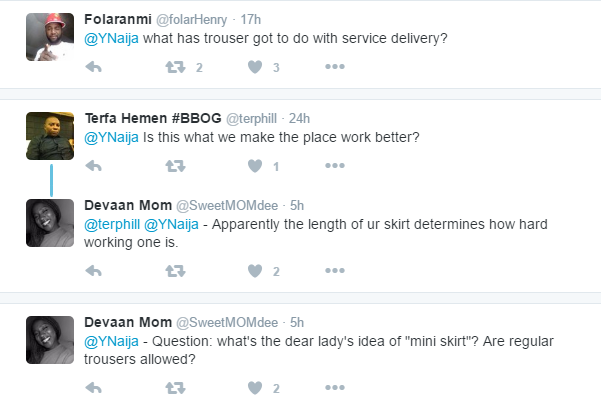 @YNaija all the mini skirt and jeans they wear in other countries ruined their economy how? @Pahpi @YNaija -Ah Taya o. But m sure it’s OK for the men to wear transparent white kaftans showing us what their dads gave em. @YNaija How will that stop corruption at the ports, improve our IGR, or make staff more efficient? The company has a right to a uniform! If you dont want to adhere find a different job, in this economy! Shior! People have always taken government jobs for granted. There is nothing wrong in the Ports authority wanting a corporate image. The same critics will never wear such nonsense to PWC, Shell or even Olaniwun Ajayi and when such authorities complain, you will not even react to such on social media because you know that if you don’t comply with company standards, there are thousands of applications pending with HR. Let’s be real , are those clothes people should be wearing to work? All organizations have a corporate dress code and no one comes up to say with all the problems and blah blah Productivity. Do all the problems means someone should be wearing tattered clothes, navel opening clothes and such to work? Nigerians , we need to learn to complain about appropriate things not just for the sake of complaining. Ive never seen anyone saying with all the problems banks have is it hair dyeing that is the problem . It’s a professional environment and for them to complain about these things it means people were taking the piss. So because there are problems the organization should let people wear rubber slippers to work! There needs to be structure and protocol for how people dress to work. It’s part of professionalism. 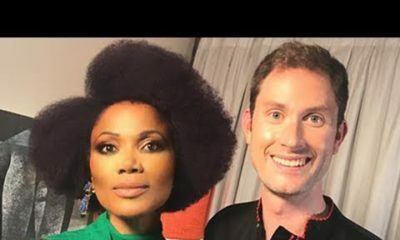 I’m disappointed in Funmi Iyanda, she overreacted. We are so quick to follow rules abroad but want to do whatever in Nigeria. There’s nothing absolutely wrong with dress codes. Just bcos there’s recession doesn’t mean other things don’t matter anymore. @Keke driver, you mean in the UK people would be allowed to wear tattered shoes, rubber slippers, navel opening clothes and etc to work? Why do we obey rules that make society and work places structured abroad then rant when the same is asked in Nigeria? And you lot will be the first to say how unprofessional the workers there look and blah blah . Now they are trying to fix it you are complaining ? What do you people want! Maybe Keke Driver works in a call centre in th UK. Professionals know not to dress like hood rats. Keke Driver keep showing your hand. Someone at work wore one of those crop top kain sumtins yesterday. You know the type that was trending on asoebi bella for a while – those cropped blouses ending at your waist and leaving an inch of flesh (including navel). She’s a manager, by the way and even though I side-eyed the sumtin, nobody’s ever cautioned her from wearing it at the office (it’s not the first time we’re seeing it). Not sure she’ll ever wear it to a client meeting… but if na to office for an ordinary work day, I don see am happen for UK. Yeah crazy lots, wonder why they won’t allow me put on my g-strings and bra to the office when I perform excellently well with minimal supervision on the job. Stupid circular! Stupid dress code! WILT dress codes are the most horrible thing known to man. Shocking!!! You can’t wear mismatched clothes in peace again. But wait o. Has the NPA been paying salaries? Noto who chop belleful go wear shoe wey no scruffy? Trust Nigerians to always chase foolishness over substance. Our country is in a recession, businesses are packing up, but we focus on how people are dressing. We are truly a foolish set of human beings. Wrong. YOU are a foolish set of…Nigerians ARE not foolish. Stop being negative about Nigeria. There are problems but there are people you do not hear about doing the best they can with the little they have to make this country great. Nigeria is great. Words have power. It is no wonder from its inception started with ‘God bless America’. You believe in a country, it will definitely grow. Nigerians, the ones we do not hear about, are great. Yes there is a recession. Yes things are hard. But there has to be some structure. America was once in a recession but workers had a dress code. What if firefighters decide not to adhere to their dresscode because there is a recession, what would happen. Funni Iyanda has lived too long in the UK, she no longer sounds as intelligent as she used to be. Oh shut up jor!!! You are here fighting for dress code, what about paying workers a living wage, or just even paying your workers? What about eliminating work place harassment? Corruption? Discrimination? When we have addressed all these issues adequately, then we can talk about dressing. And yes, you are extremely foolish with your weak argument. GTFOH!!!! What about learning to engage in a conversation without cursing. More than half of Nigerians communicate like you, no wonder the economy is in turmoil. If you cannot have a civil conversation about the way things are, how are we meant to move forward. Workplace harassment exist but so does bad workplace wear. One step after the other. America does not have workplace harassment even with all their laws, rules, regulations??? Saudi does not have workplace harassment even with their draconian dresscode? Black lives are threatened in America does not prevent one from adhering to the rules. The same goes in every country. Lives are being killed in Saudi does not prevent foreigners from wearing hijab when they visit. But there exist a need to have proper attire to work then they have every right to address it. Yes there is hunger. Yes things are hard but that does not mean we should throw in the towel about doing what is right. Weak argument? I did not present any argument in my previous post. I simply stated that we should commend such rules and maybe then we can encourage them to further these rules by including the ones you mentioned. We should not be too quick to condemn Nigeria. Nigeria may be difficult now but not for long. This is my last response to you. I do not know how to stoop to your level to engage in insults guised as conversation. I do not do so in real life not about to do it on BN. With your level of anger, I assume you are moving and shaking things in Nigeria rather than vex and pretend to show might on BN. There are good, simple people whom you do not hear about trying to make this country great. Just because you do not hear about them does not mean they do not exist. So stop condemning Nigeria. Condemn yourself for not doing anything, and if you are already, apologies in advance. Please dresss appropriately and professionally to a WORK environment. Do you need to be told not to wear rubber sandals, mini-skirts/dresses, body revealing clothing, tattered shoes. People this is common sense. You are not going clubbing. Such vitriol in that first tweet. At what point did Nigerians lose their ability to engage in civil discourse without the use of such caustic language? 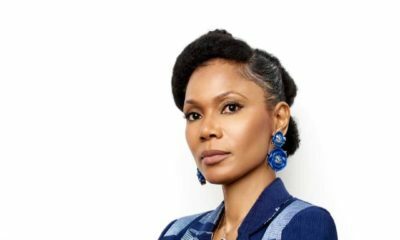 Umm, hang on a sec… I just realised that’s Funmi Iyanda. Smh. I dont undeestand what all the hue and cry is all about. Its not like theyve being asked them to dress in hijabs. We’ve got a dress code at my work place. It’s in the policy under dress code. U get a warning if you breech it followed by disciplinary . can’t just turn up to work wearing informal, casual party clothes. How is anyone suppose to take you seriously – coming to work in ripped jeans and cropped tops. Msheeewwwwwwwwwwweeeeeeeee! Misplaced priorities. They should face their jobs biko! The illegal goods they are meant to ban; do they? Rather they smuggle them in to make money. Na this NPA officials they contribute to the problem of Naija economy sef. You see containers gaining clearance filled with contraband just because one oga in the office has been settled in USdollars! Ban skirt ko, ban tight jeans ni. But really what’s the issue? Every company has a dress code. Even on casual Fridays when you can wear jeans to the office, most companies specify no shorts, no ripped jeans. How many of these folks complaining can wear such craziness to their current offices? The problem about Nigeria is that they focus on less important matters and ignore the main problem! I TOTALLY AGREE THAT WRETCHED DRESSING IS INAPPROPRIATE IN ANY ORGANISATION AND EMPLOYEES SHOULD ALWAYS ABIDE BY THE DRESS CODES. Personally, even in the firm where I work, I dress so corporate even on Fridays. But on a more important note, Is that what the NPA should be addressing right now? Knowing very well what goes on in there. There are more pressing matters affecting the economy to be resolved than focusing on what their staff put on. They should curb the corrupt practices first before attending to staff appearance. That’s my point. The problem here is that it is not true that those workers wear bathroom slippers to work- I can bet my last well-guarded kudi on this one. Which worker in Nigeria needs to be told not to wear bathroom slippers to work? In which parastatal will you find people exposing their belly buttons in Nigeria? Your peers, in fact a withering look from your boss ( not the ogle masters, but the fuddy duddy or pristine madams) will get you back in pace. Truth about Naija is that rules like this usually come with hidden agenda- to assuage some misplaced sensibilities that often have religious colouration. Don’t quickly jump to islamisation please, although that is more usual, because some ultra-conservative xtians can do similar things. Haven’t i said it before, you know Nigeria weeeellll! I have to disagree with you. Many civil servants wear anything to work. Hell most do not come to work. If they do, many are on African magic watching one movie or the other. If you want to know how indiscipline looks like, go to any government parastatals. If you want to be treated like an adult, do not act like child. Yes it appears ill-placed for them to release such a statement considering the economic climate but if it is borderline getting unprofessional then it is becomes a distraction. There is a reason there are dresscodes. Yes people are hungry does not mean we should allow indiscipline and permit unprofessionalism. Erm, did I miss something. Isn’t this a regular protocol for functioning businesses/organisations? Also where in the notice is any specifically directed at women. Some strange responses. Whilst I agree plenty more urgent issues facing them, I don’t understand why this made the news. “Awon weyrey” . What kind of western Yoruba spelling is this. Funmi Iyanda, why are you bastardizing the orthography of your mother tongue ? French or English people would not do this to their language. E maa ba ede wa je o. Have you ever been to a government office, who in their right mind dresses like that, in Abuja for that matter. These are civil servants we are talking of, in a conservative city like Abuja. I am certain that, there can only be a few people who will dress this way. People are annoyed because it should not be the first thing to be tackled when one’s house is burning. If this circular had be released after cogent action plans had been released on how to make the ports more efficient and assessable to Nigerian, and how the ports can help exporters boost international trade, thereby creating more jobs, nobody will raise and eyebrow. Infact Nigerians will support it 110%, But as usual we put the cart before the horse. The hardship is biting, and we are talking of dress code. OK now. Please make sure you pay them enough to buy new clothes ooh. Looool. Now this is sarcasm?? Please let’s call a spade a spade. Yes there is recession and what not now but why should people dress shabbily to work. Honestly speaking majority of civil servants are a huge problem to Nigeria. Especially those in state civil service. Only a few of them take their jobs seriously. There is absolutely nothing wrong with the statement that was released. Dress decently to work, no one needs to be told that. Is Funmi Iyanda serious with that tweet, she sounds so unintelligent and razz. Those screaming that the government has misplaced priorities, if these people were actually doing the right thing there won’t be any reason to release such statement. Dress code: dress to get wet! How won’t an office get dress code?